Montreal’s Diva of Dance is ready to surpass her 1980’s accomplishments in this new millennium. The soft and sultry hot and gusty vocals that trade marked her Techno classics Hit n Run Lover , Mercy and The Woman In Me . 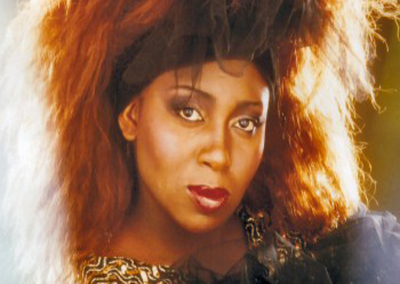 Born in Nigeria, Carol moved to Montreal where she recorded the powerhouse album Hit n Run Lover , the LP confirmed Carol Jiani’s eminent arrival. The Diva of Disco, as she affectionately is referred to by arousing fans has mesmerised audiences everywhere with her electrifying performances, Spontaneous and provocative she is truly in control on stage. Off stage she is a humble, private individual whose witty sense of humour prevails. Carol Jiani’s Hit N Run Lover became a long-running anthem within the ’80s Hi-NRG scene, a song that never seemed to lose its appeal, particularly among the gay community. The song soared to the top of the disco chart in May 1981, and continued to be spun by DJs for years afterward and compiled on the occasional compilation CD. 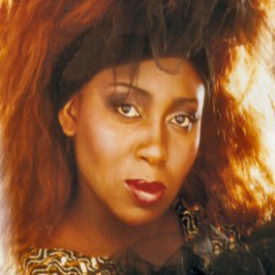 Jiani recorded several others songs such as Dancing in the Rain (1984); however, the Nigerian-born diva remained forever tied to Hit N Run Lover , the victim of her own success. In the ’90s, a few Jiani best-ofs surfaced, and many of her songs were re-released on vinyl.